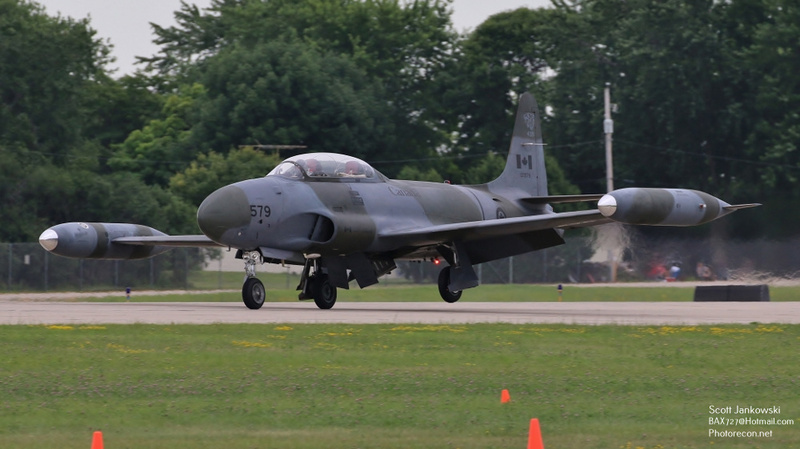 Rounding out our review of Warbirds at AirVenture 2018, we take a look at the early generation of jet aircraft. 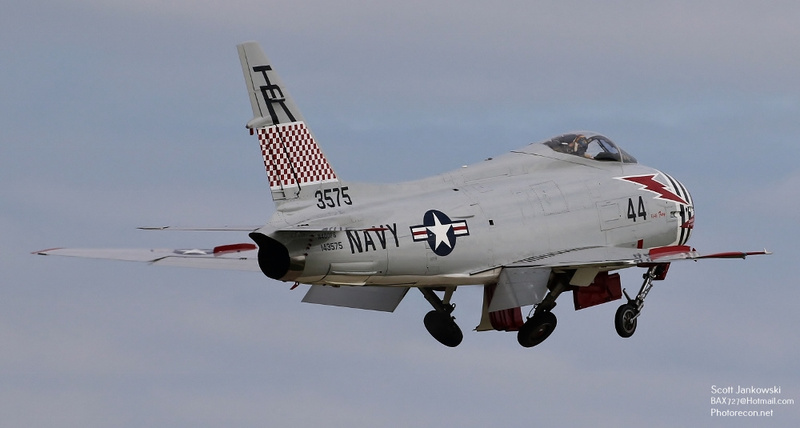 These early generation of jets are some of the first to take flight, have seen service in many different conflicts, and with many different countries around the world. 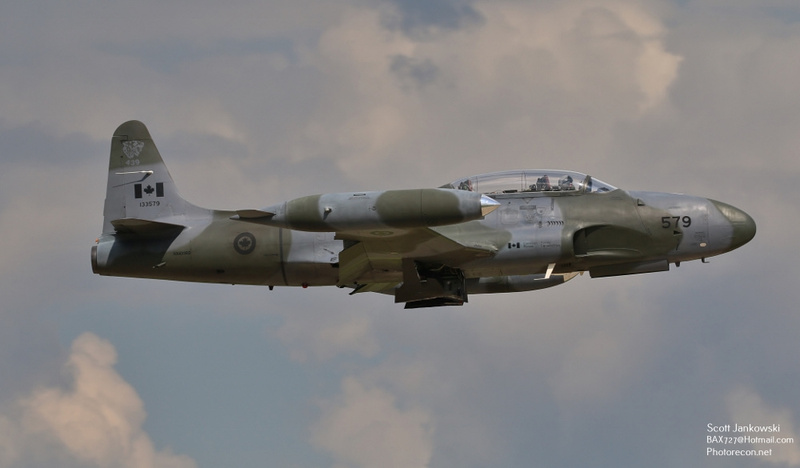 These jets have now been replaced by newer and faster models making them obsolete, but have found new life after their military service, these jets are now growing in popularity with civilian owners. 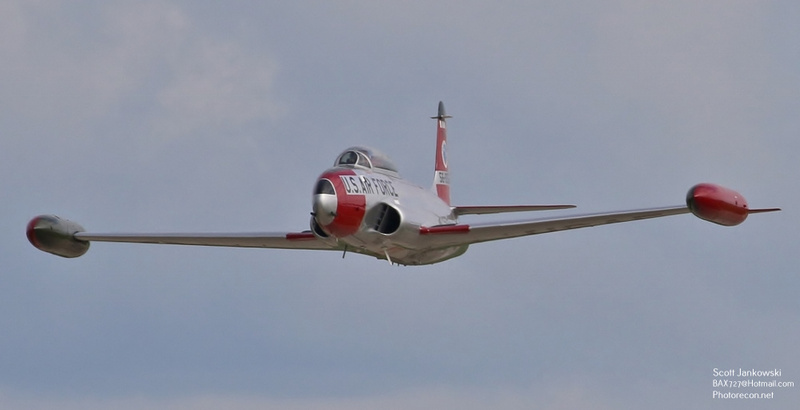 The Jet Warbirds that were part of AirVenture 2018, were a fascinating mix of US, Canadian, Czechoslovakian, and Polish built jets. 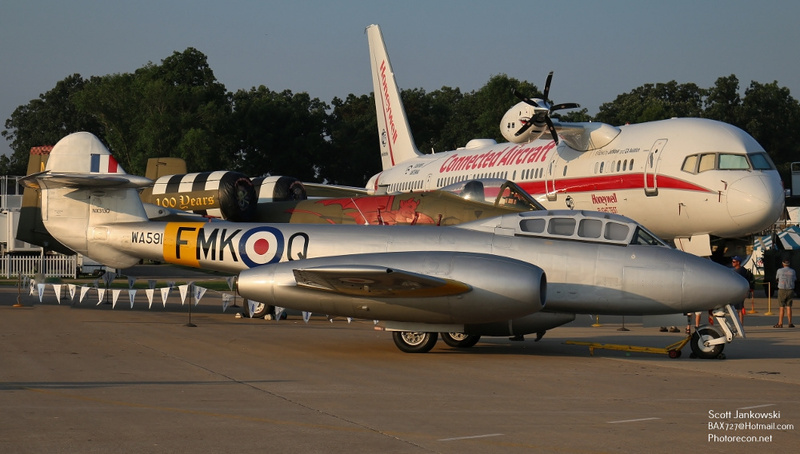 One of the biggest highlights was NX313Q, a 1949 built Gloster Meteor T-7. 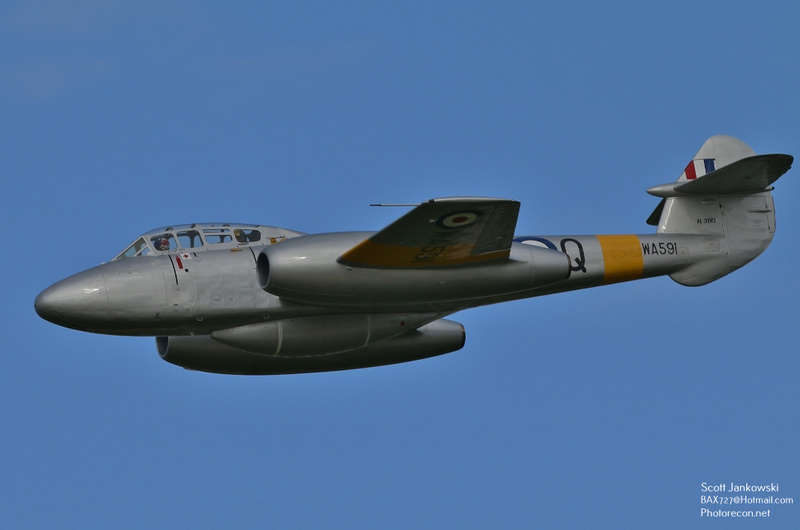 The Gloster Meteor is powered by a single Derwent MK-9 turbojet engine which gives the aircraft a top speed of 600 miles per hour. 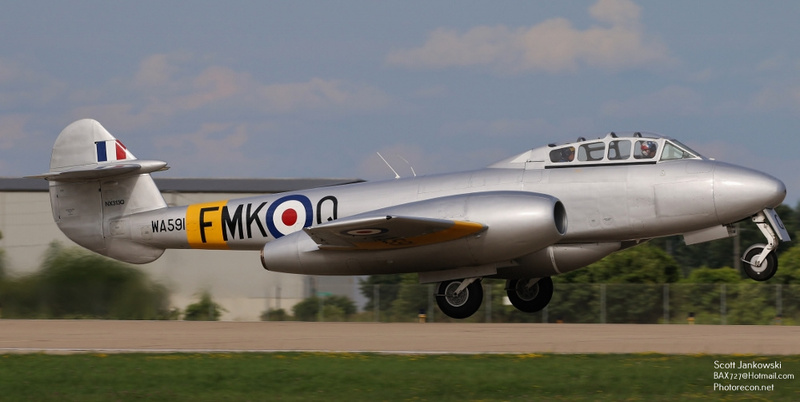 A total of 3,947 Meteor’s were built and was the only Allied Jet Fighter to see combat in World War II and served with the Royal Air Force until the 1980’s. 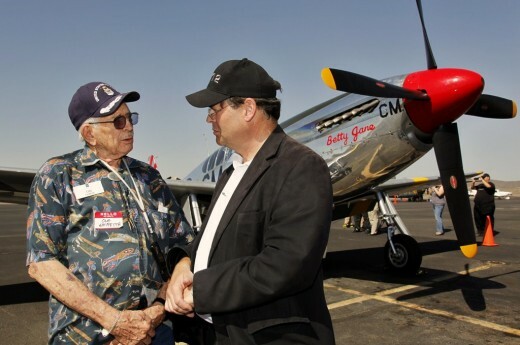 This particular Meteor is flown by the World Heritage Air Museum based out of Detroit MI. 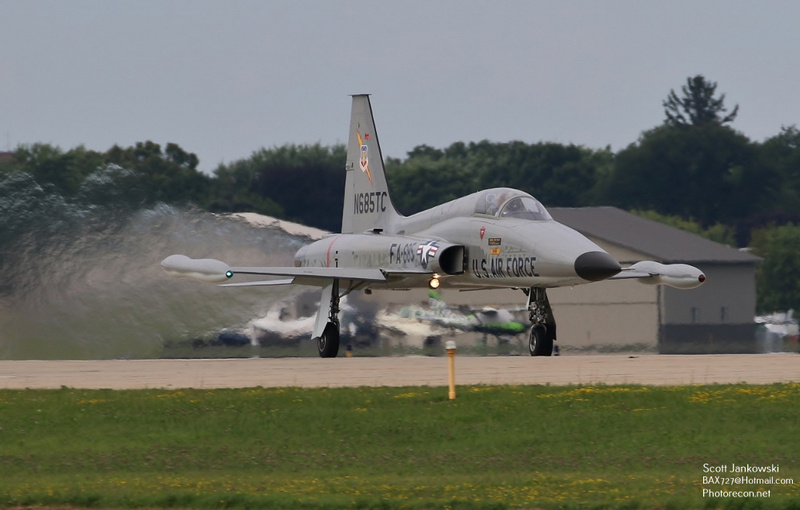 Making its Oshkosh debut was 1968 built Northrop F-5A Freedom Fighter N685TC. 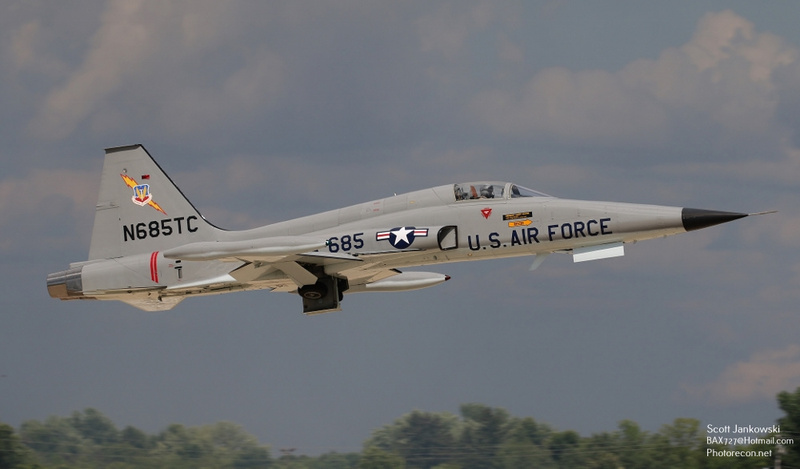 A total of 2,246 F-5’s were built between 1959 and 1987 when production ended. 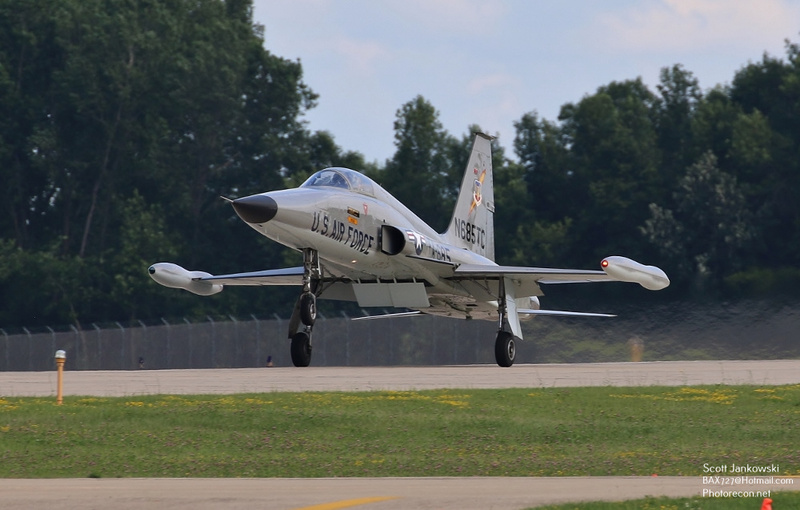 The F-5 is powered by a pair of General Electric After burning J-85 engines which give the F-5 a top speed of 1,060 miles per hour. 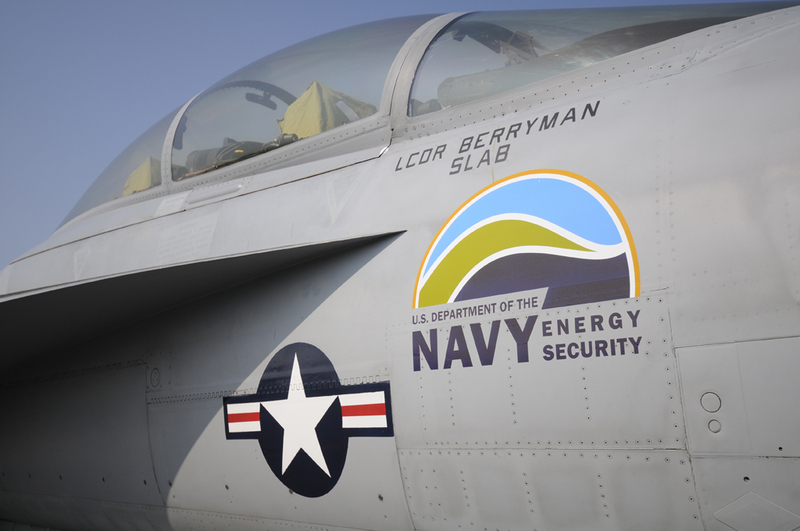 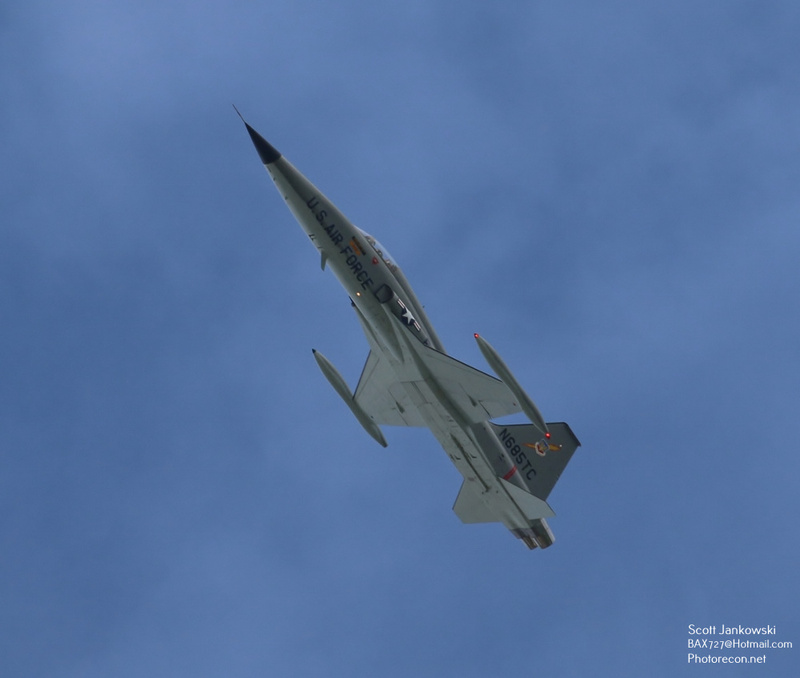 The F-5 is still used by many countries around the world including the United States Navy and Marine Corps. 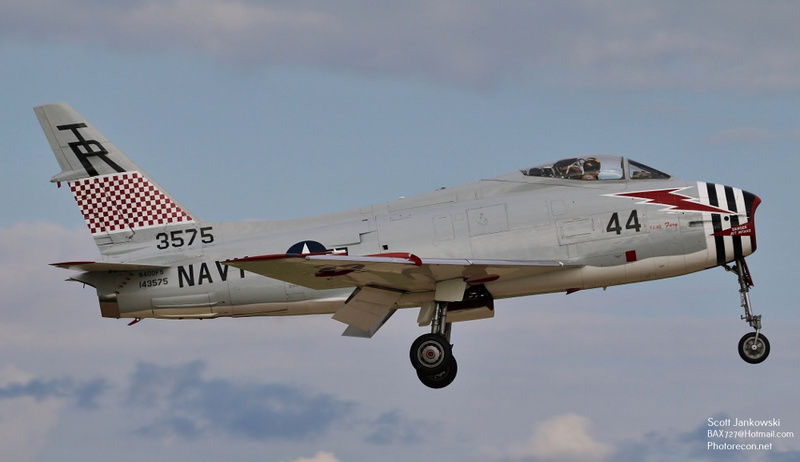 The only flyable North American FJ-4B Fury in the world, N400FS flew in the Thursday Airshow. 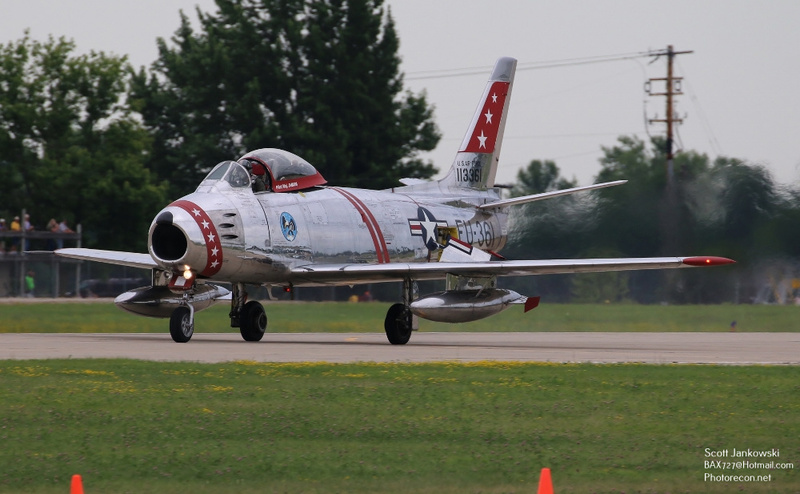 The FJ-4 was a United States Navy and Marine Corps version of the North American F-86 Sabre. 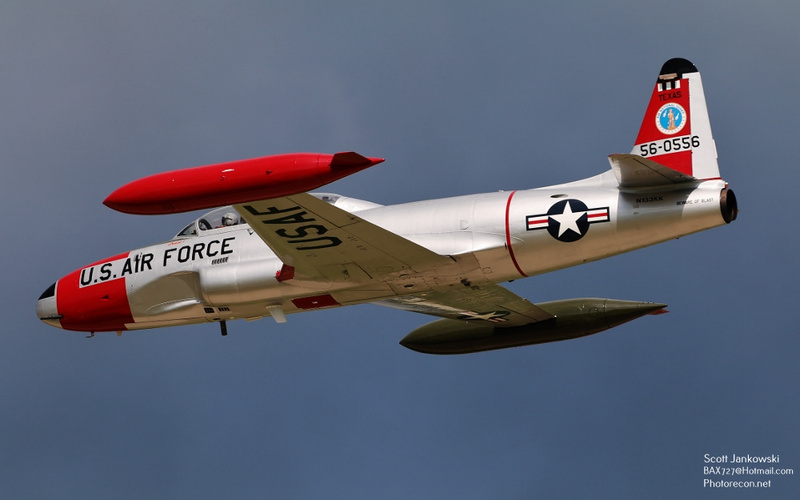 The FJ-4 was powered by a single Wright J-65 Turbojet Engine which gave the Fury a top speed of 680 Miles Per Hour. 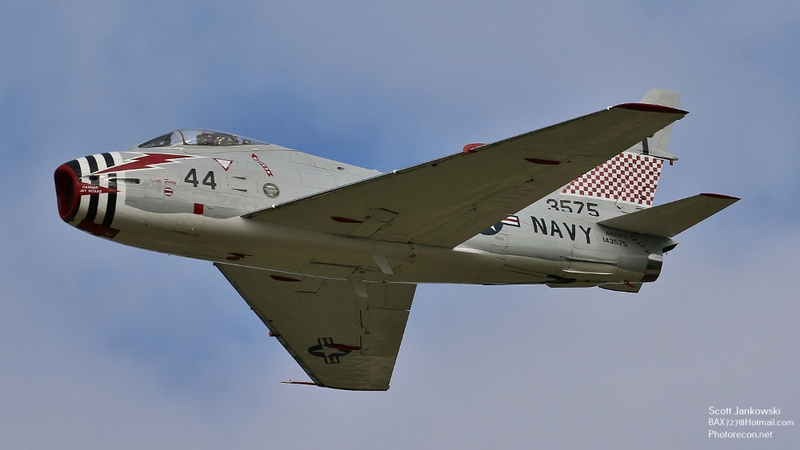 374 Fury’s were built and was phased out of service in the late 1960’s. 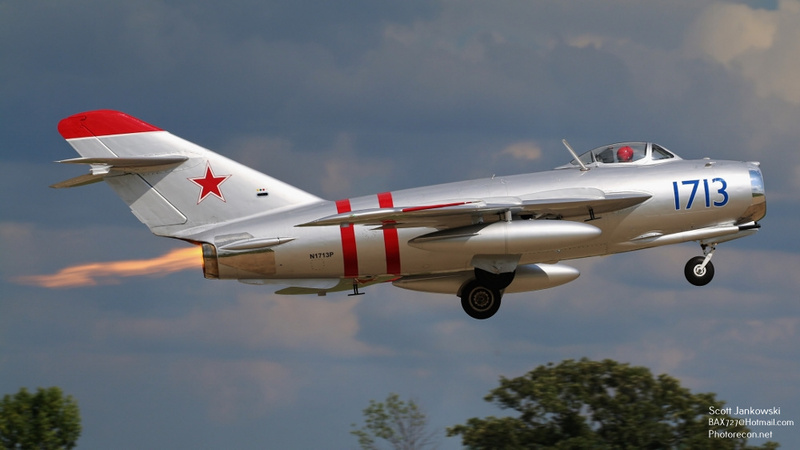 N1713P a 1960 Polish License built Lim-5, which is a variant of the MIG-17 family was also present. 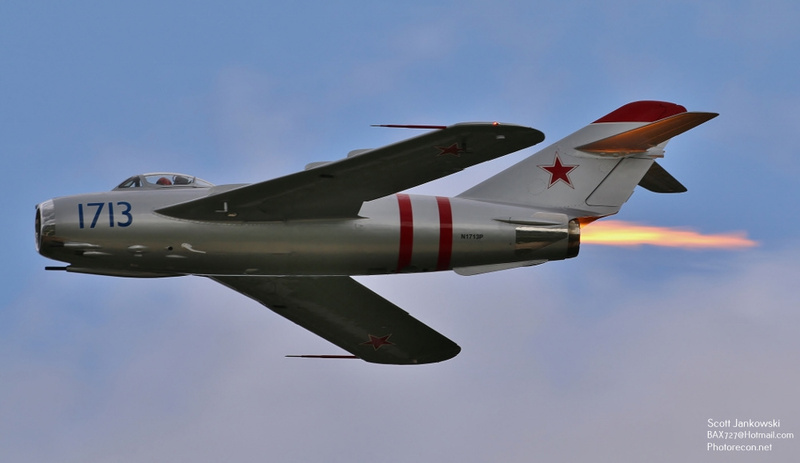 The Lim-5 first flew in 1956 and is powered by a single Klimov VF-1F Afterburning engine that gives the Lim-5 a top speed of 710 miles per hour. 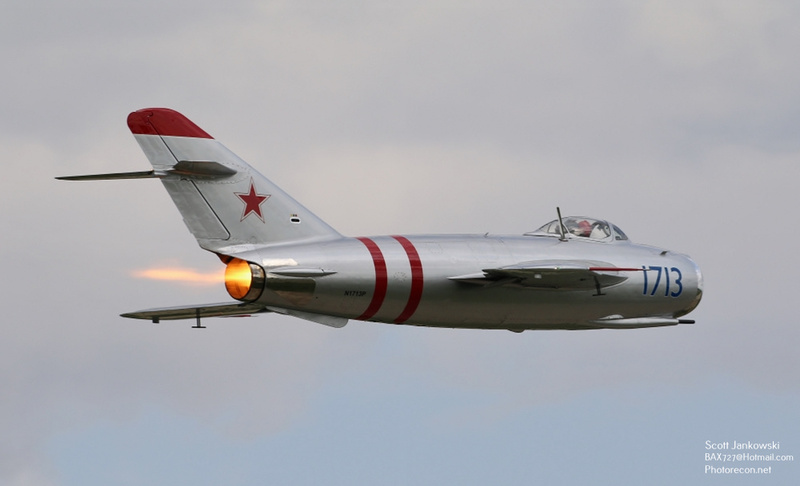 The Lim-5 flew in the daily airshow and always impresses with several passes made with the Afterburner lit. 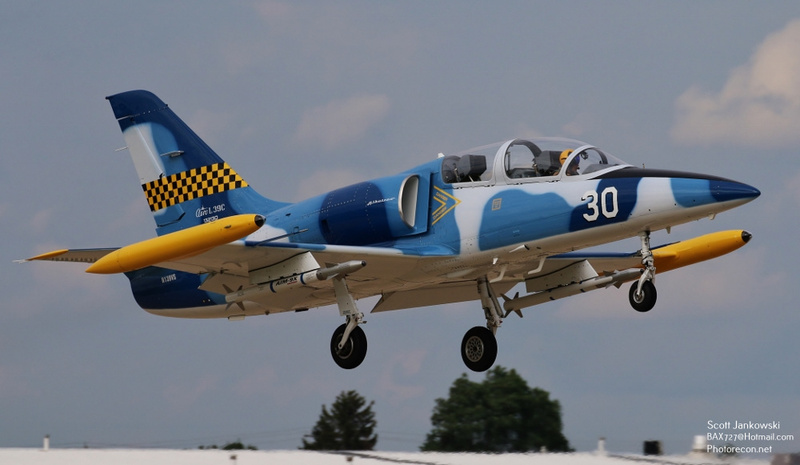 The most popular Jet Warbird is the Czechoslovakian built Aero Vodochody L-39 Albatross. 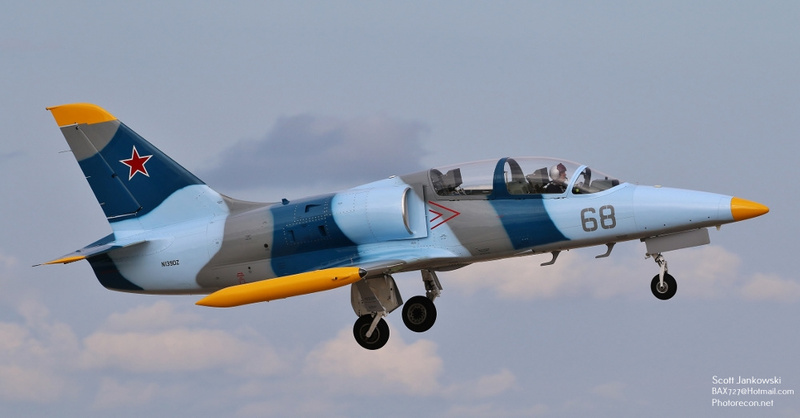 The L-39 first flew in 1968 and is used as a trainer and light ground attack aircraft. 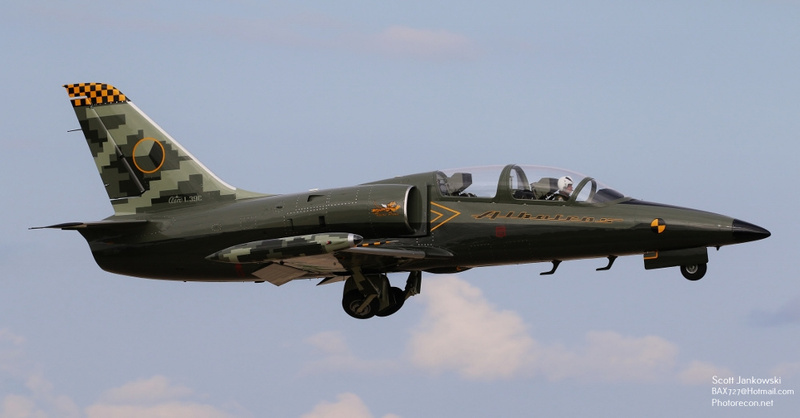 Approximately 2,900 L-39’s were built when production ended in 1996. 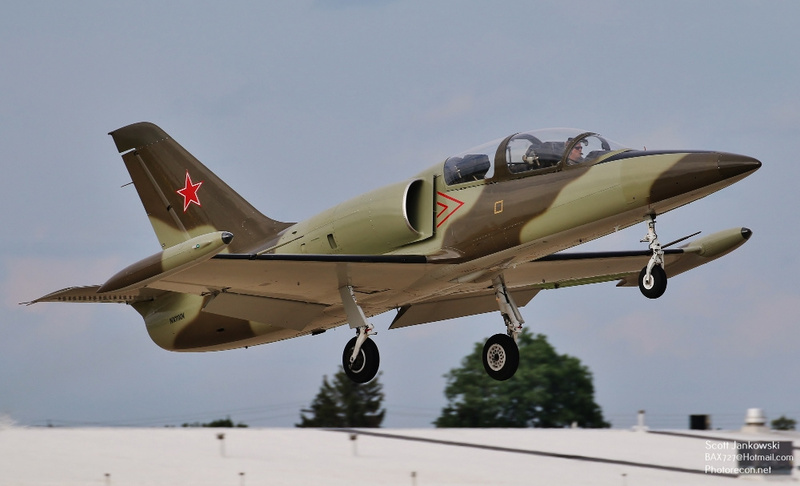 Russia still uses the L-39 as a trainer, but has become widely available after its military service with approximately 300 now in civilian hands. 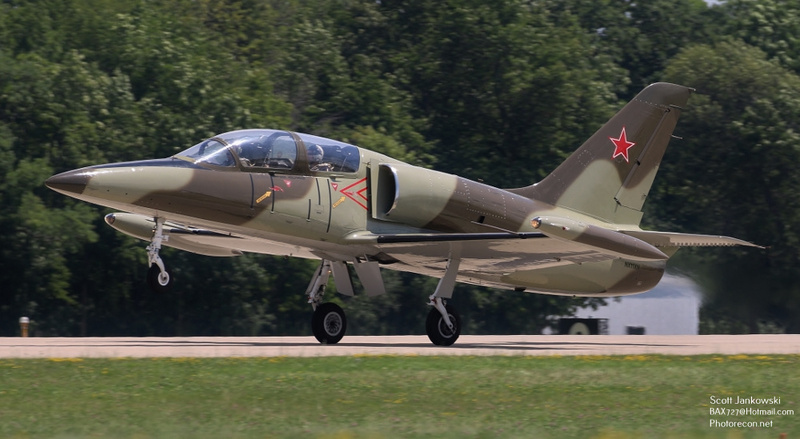 The L-39 is powered by a single Ivchenko Turbofan engine which gives the aircraft a top speed of 466 miles per hour. 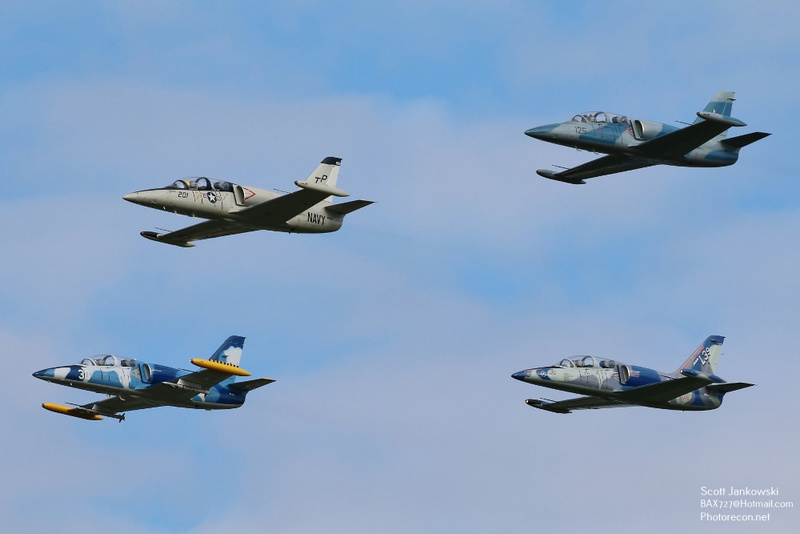 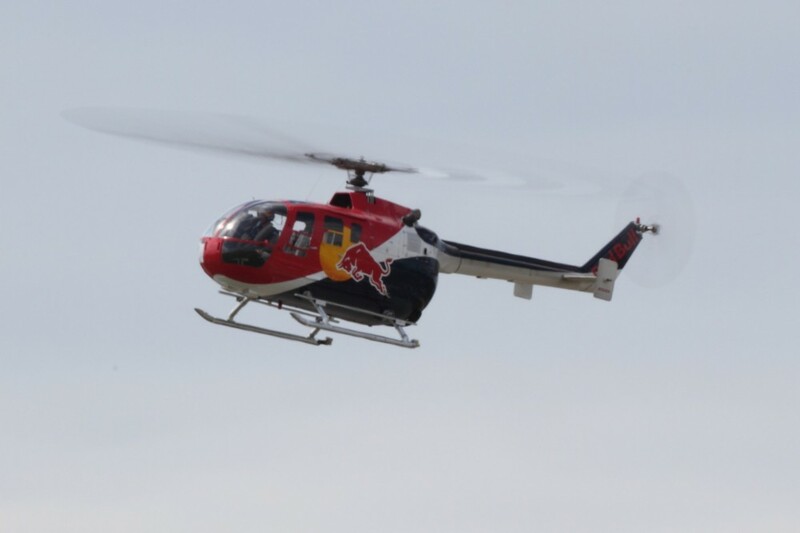 Several different L-39’S flew in the daily airshows. 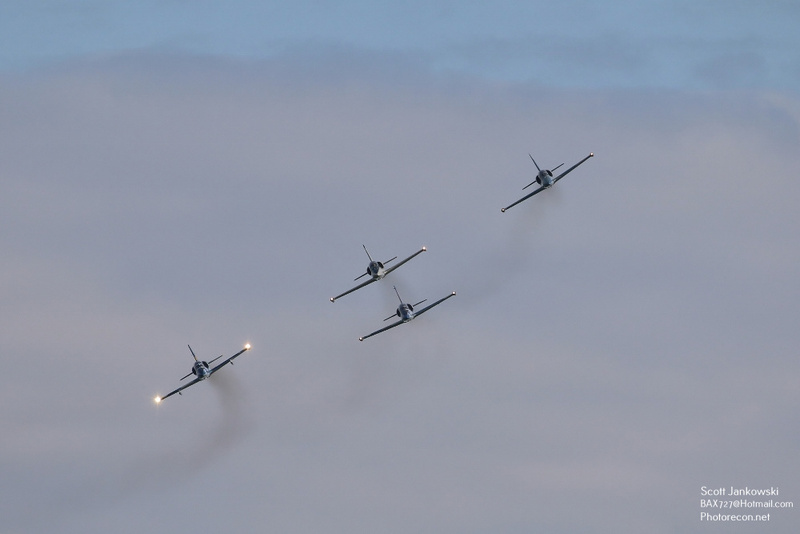 Several examples of the Canadian built CT-133 Silver Star were on hand. 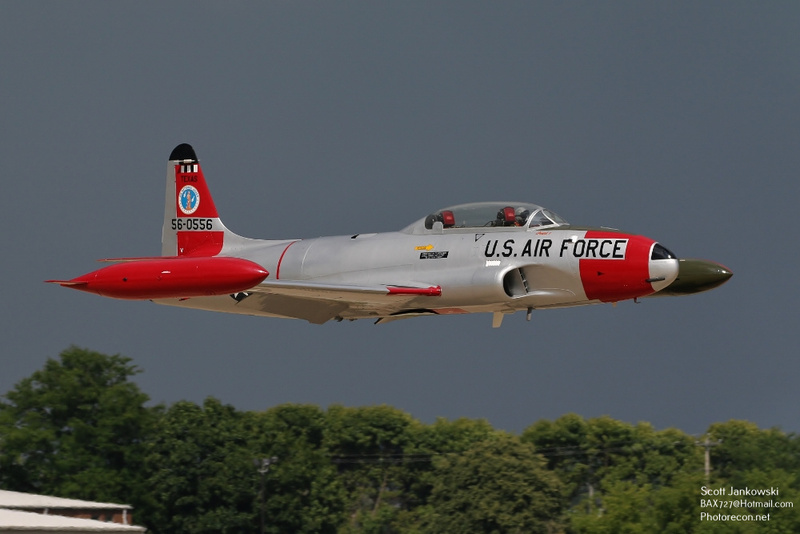 The CT-133 is the Canadian license built Lockheed T-33 Shooting Star. 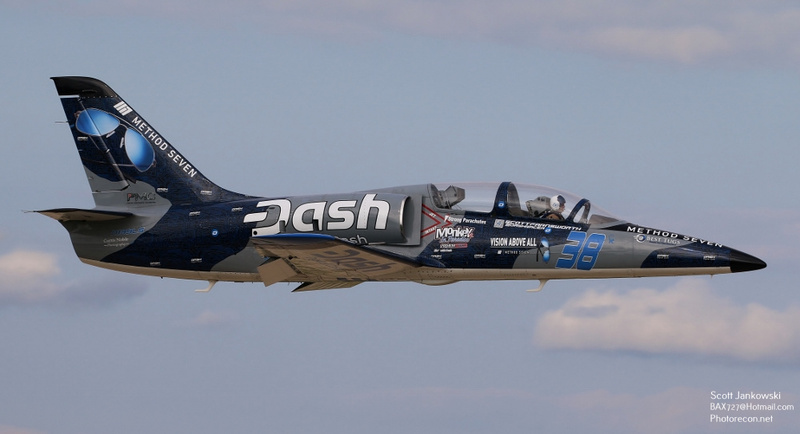 The CT-133 is powered by a single Rolls Royce Nene 10 engine giving the aircraft a top speed of 455 miles per hour. 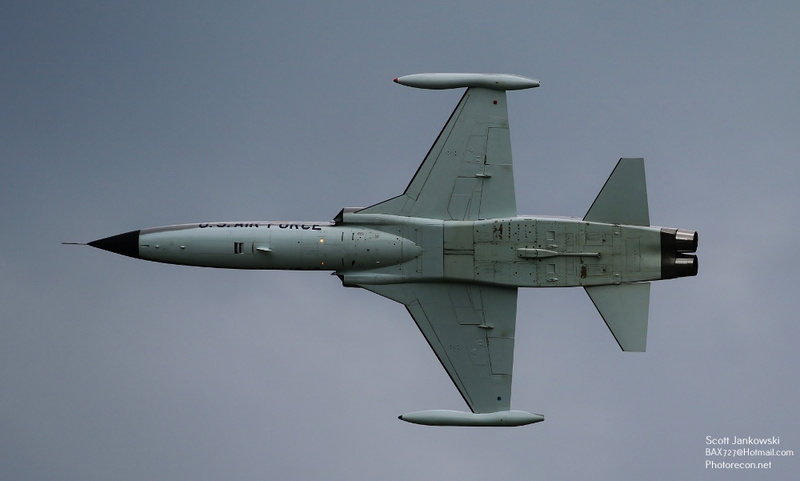 A total of 656 CT-133’S were built with the Royal Canadian Air Force officially retiring the aircraft in 2005. 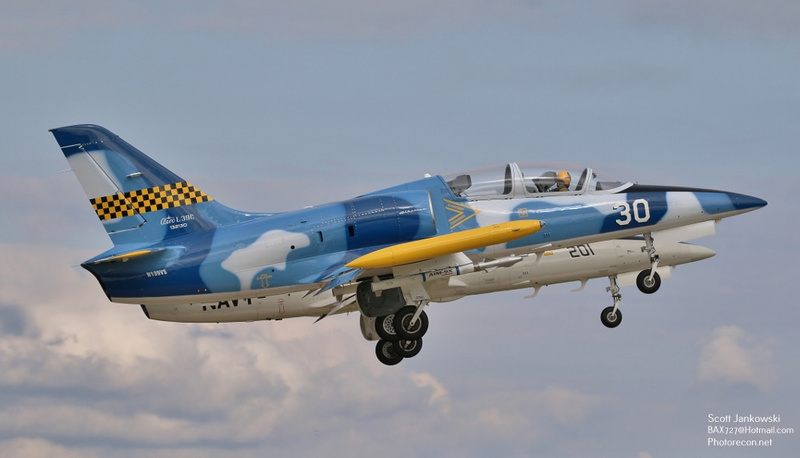 N433RD is painted in Royal Canadian Air Force colors. 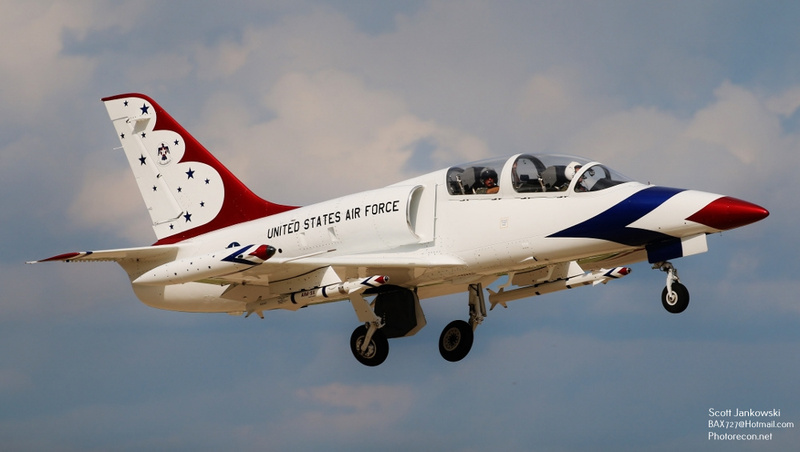 N133KK is painted in the colors of the Texas Air National Guard. 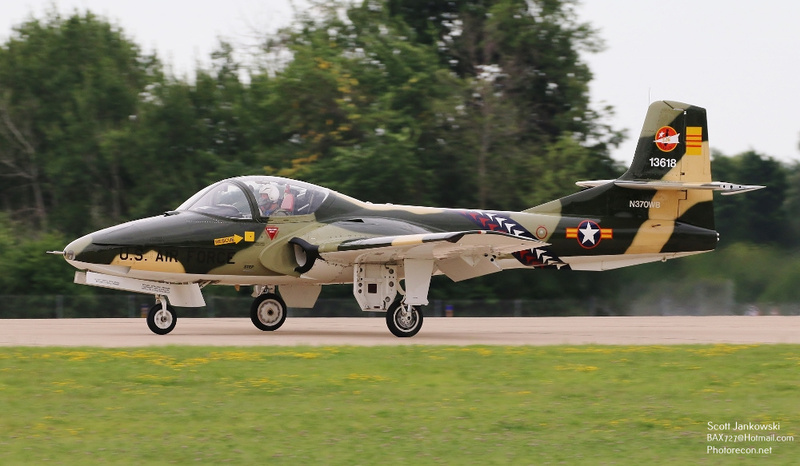 NX230CF is painted in a very patriotic Red, White, and Blue color scheme. 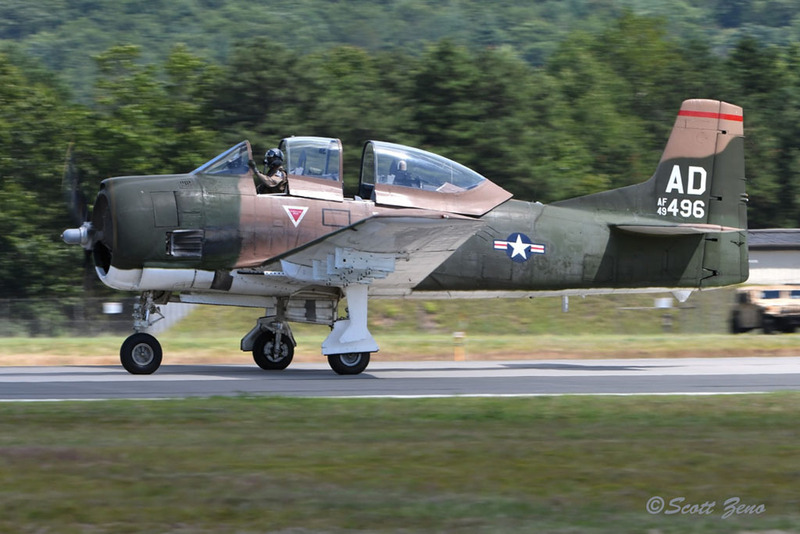 NX165KK is painted in the colors of the 443rd Bomb Wing which was based at Carswell Air Force Base Texas. 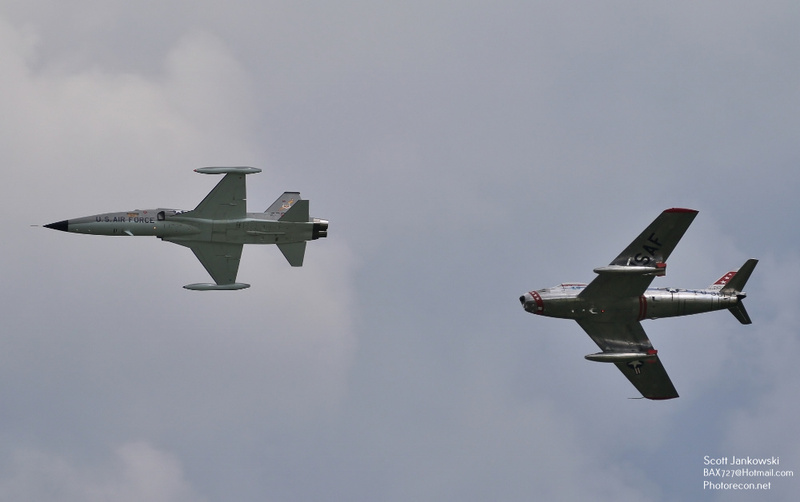 A pair of Sabres graced the sky at AirVenture this year with an example of both a US built and a Canadian built Sabre. 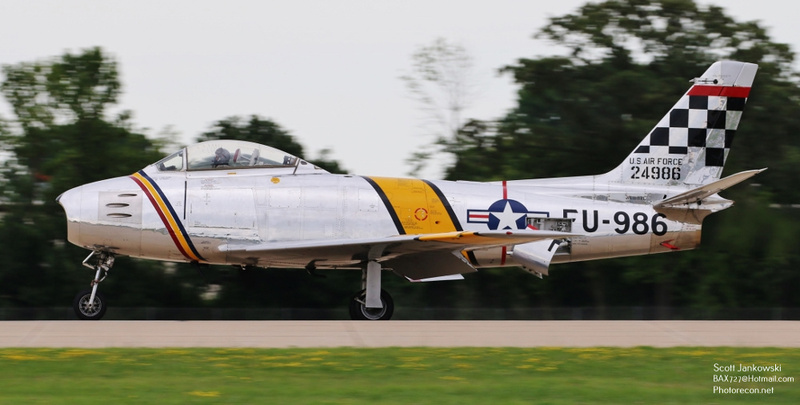 NX188RL is an North American built F-86F Sabre, of which 9,860 were built. 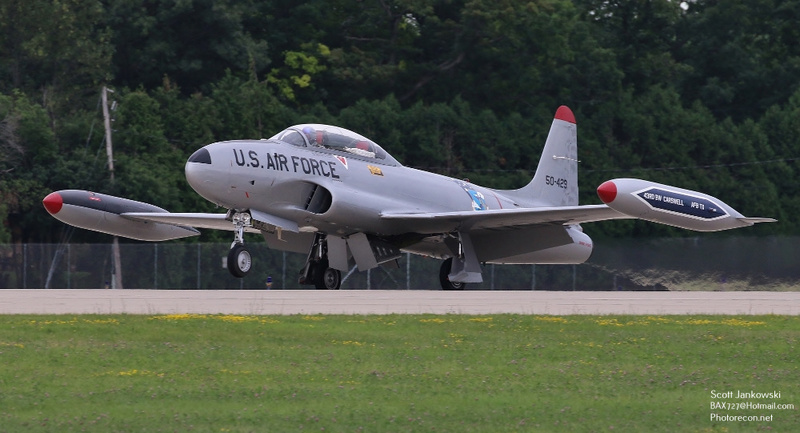 The F-86 is powered by a single General Electric J-47 Turbojet Engine which gave the F-86 a top speed of 687 Miles per hour. 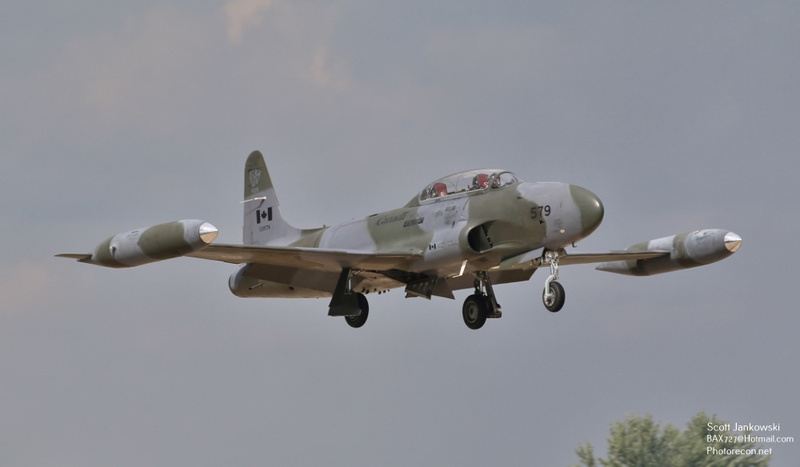 The F-86 served until 1994 when the Bolivian Air Force retired it from service. 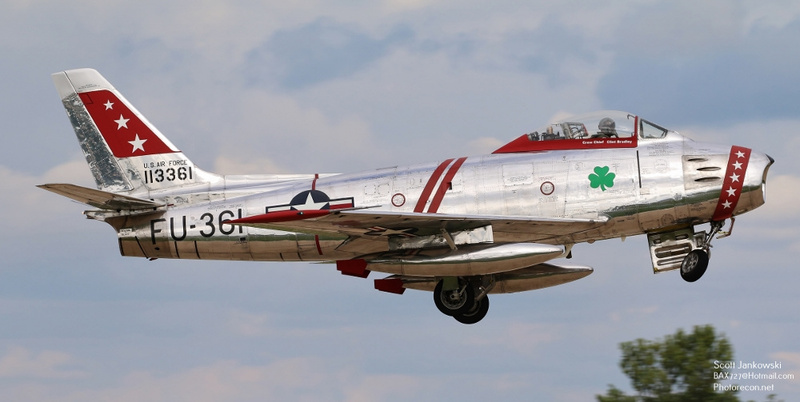 N50CJ was a Canadian built Canadair CL-13B Sabre Mk 6, of which 1,815 were built. 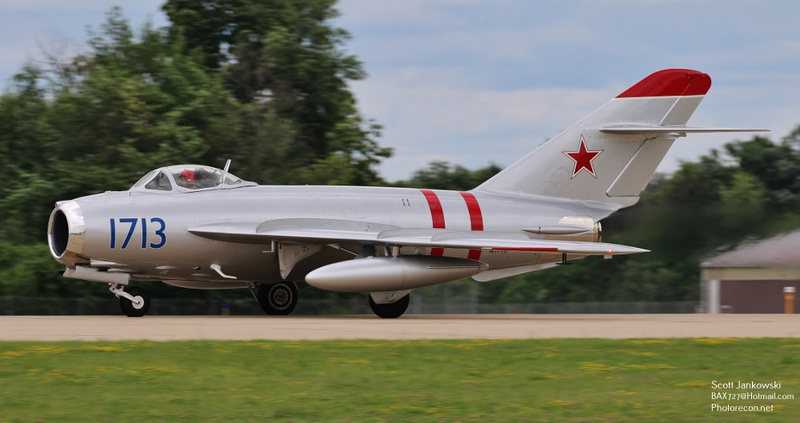 The CL-13B is powered by a single Avro Canada Orenda 14 Turbojet engine that gave this version of the Sabre a top speed of 697 miles per hour. 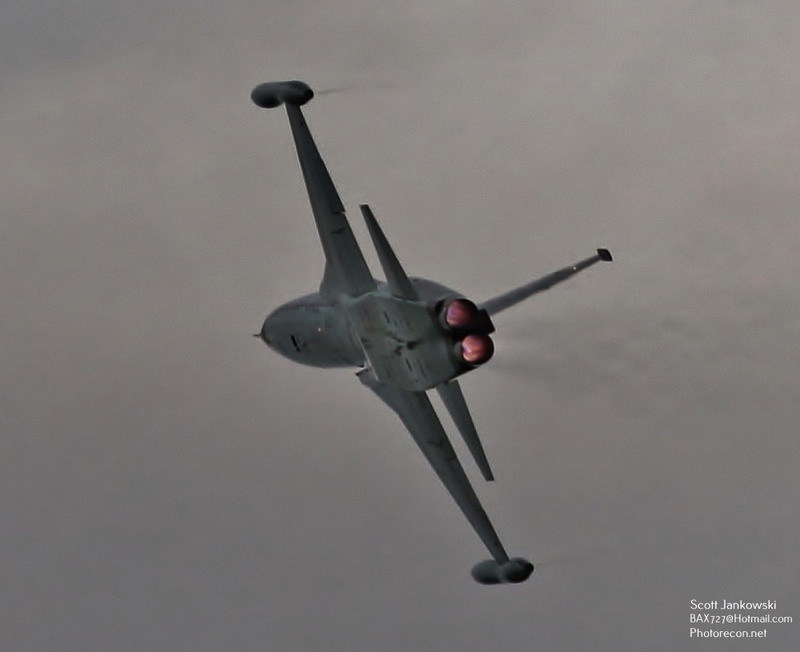 The CL-13 served until 1980 when the Air Force of Pakistan retired the type. 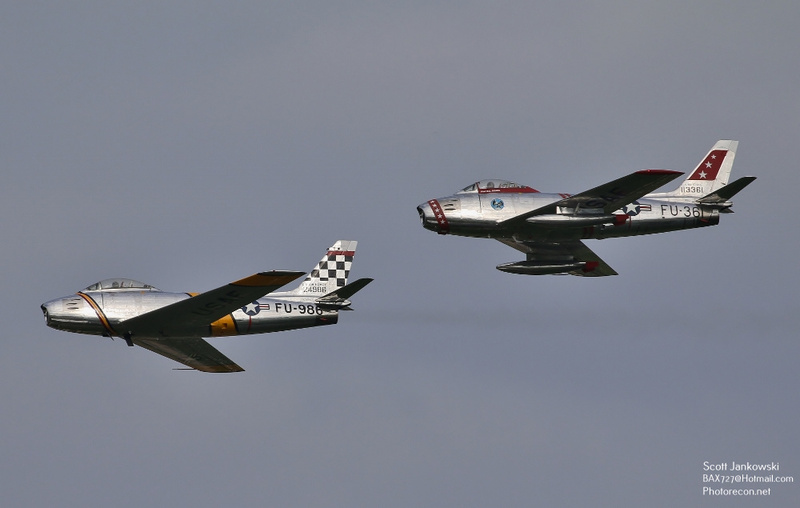 Rounding out our look at Vintage Jets are these 2 types. 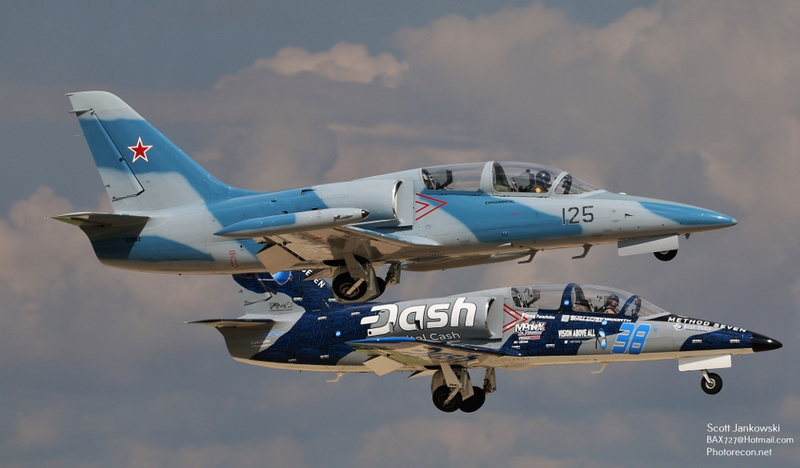 The first is Cessna T-37B or “Tweet”, N370WB. 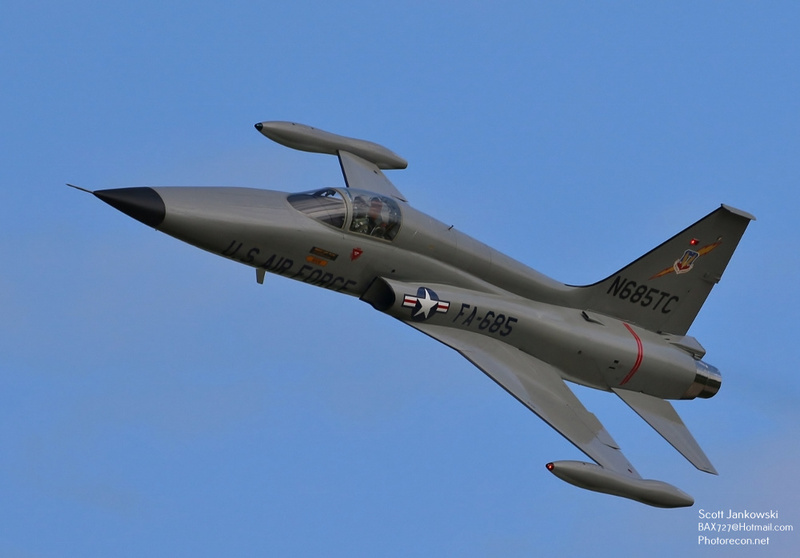 1,269 T-37’s were built and was used by the United States Air Force as it’s primary trainer until its retirement in 2009. 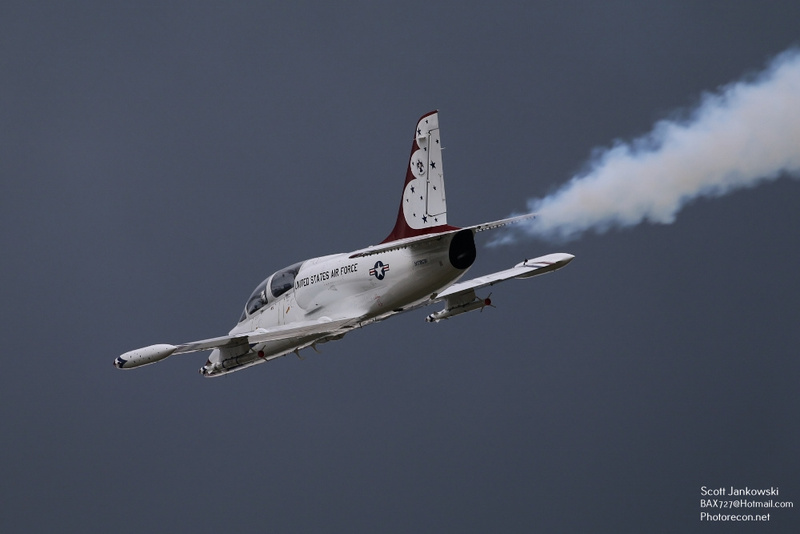 The T-37 is powered by a pair of Continental-Teledyne J-69 Turbojet engines giving the T-37 a top speed of 425 miles per hour. 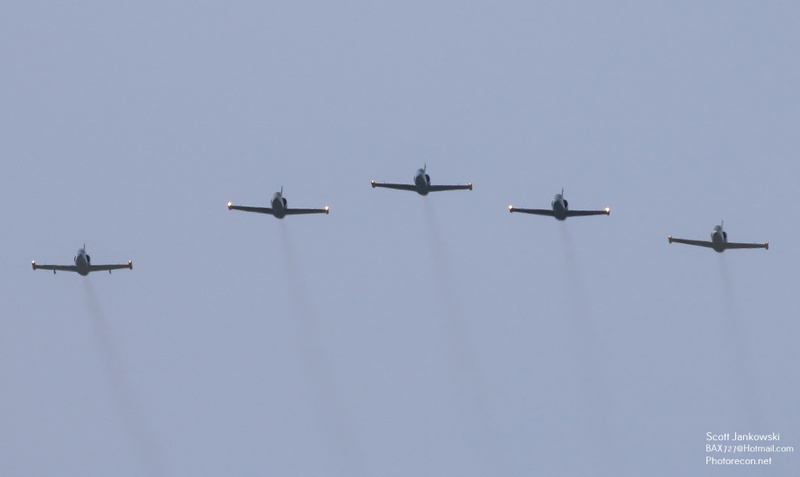 The T-37 is still used by 3 countries today. 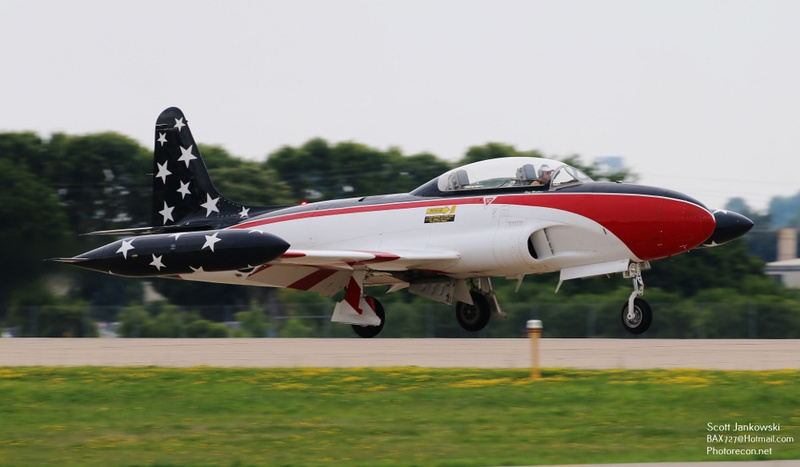 N287XW is a British Aerospace Corporation Jet Provost P84 MK.5. 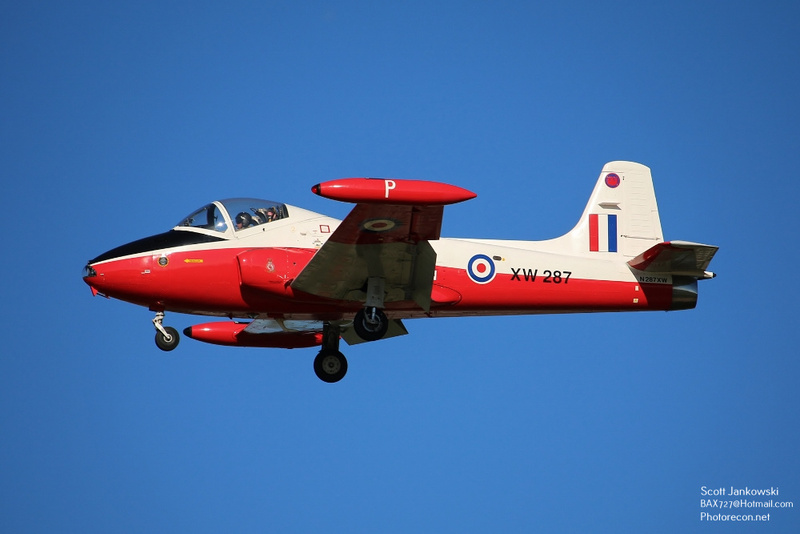 The Jet Provost was used as a basic trainer with 734 built with the type serving until 1993. 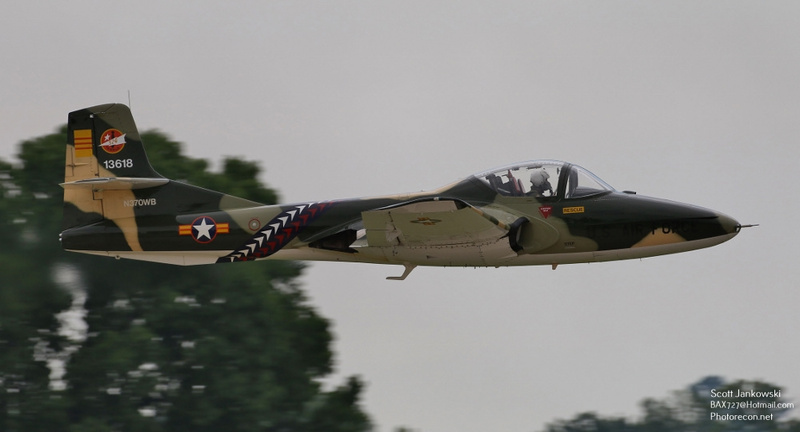 A single Armstrong Siddley Viper Turbojet powered the Provost to a top speed of 440 miles per hour. 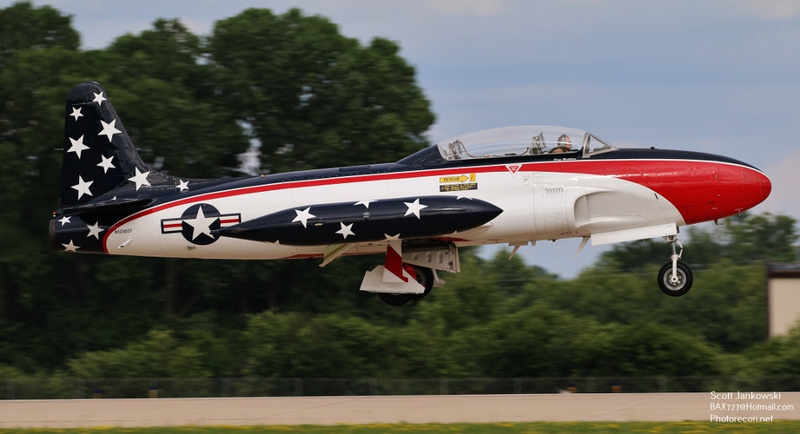 Scott Jankowski - Franklin, Wisconsin Like so many others my love of aviation started when I was young, very young. 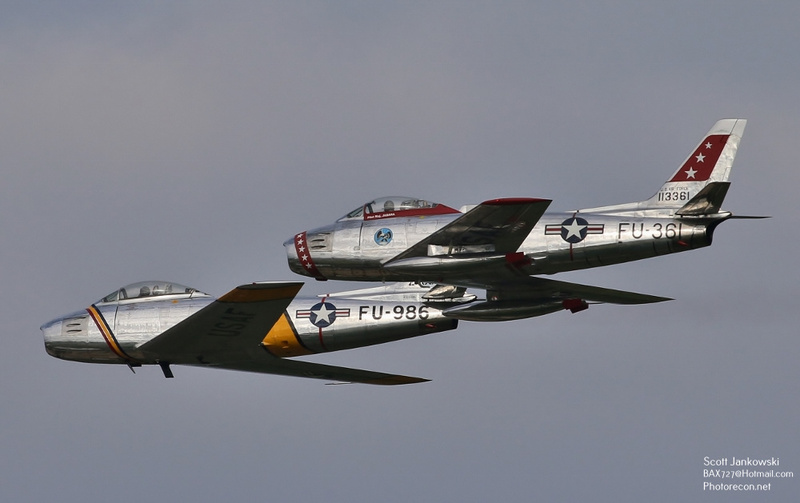 I was only three years old when my Parents took me to my first air show here in Milwaukee, the rest you could say is “history”. 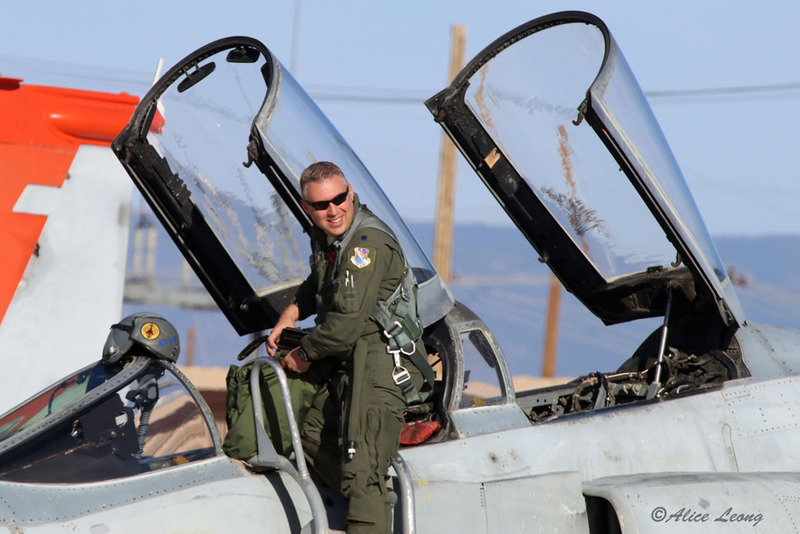 I would read aviation magazines instead of Comic Books. 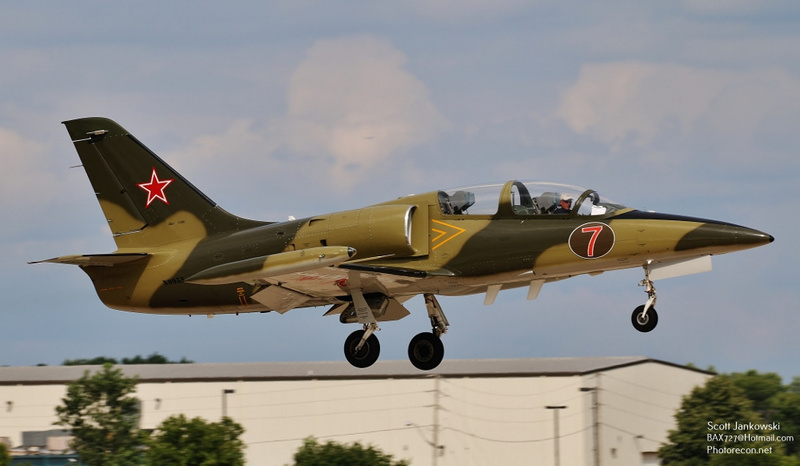 I would prefer my Dad take me to the airport to watch airplanes instead of throwing a Football around. 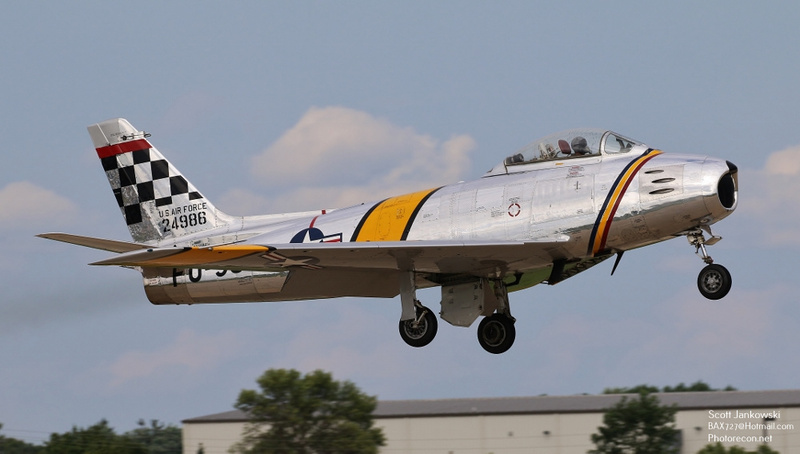 I grew up watching Convair 580’s, DC9’s and 727’s from the terminal here in Milwaukee, no Stage Three noise compliance back then! 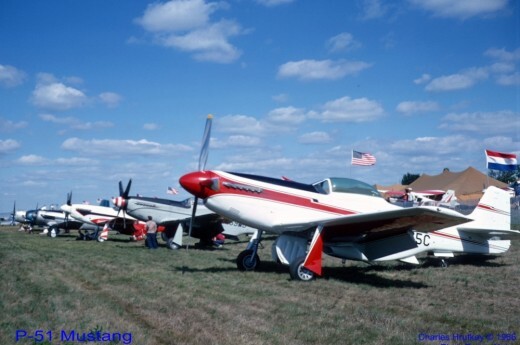 I started to seriously take pictures in the Mid 1980’s , for my birthday that year I finally had my first decent camera. 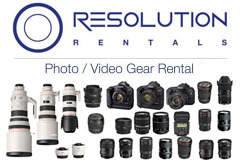 I would head down to the airport with my pockets full of Kodak Film and take pictures of anything and everything. 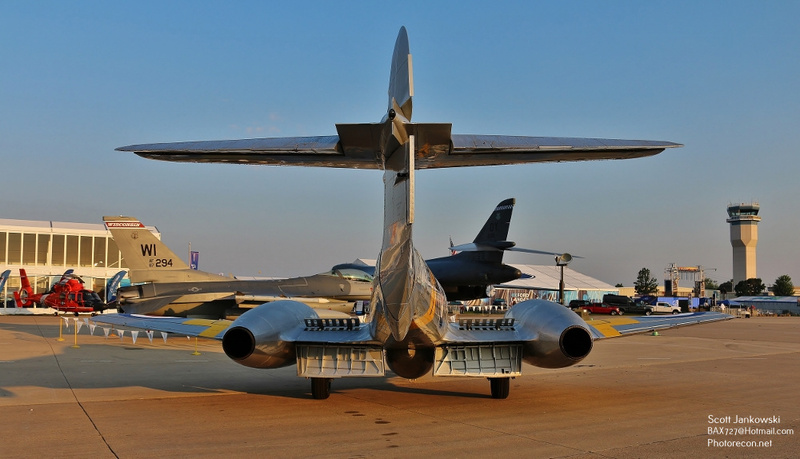 It did not matter if it was a Air Wisconsin Dash-7 or a 128TH ARW KC-135E if it had an engine I took a picture of it. 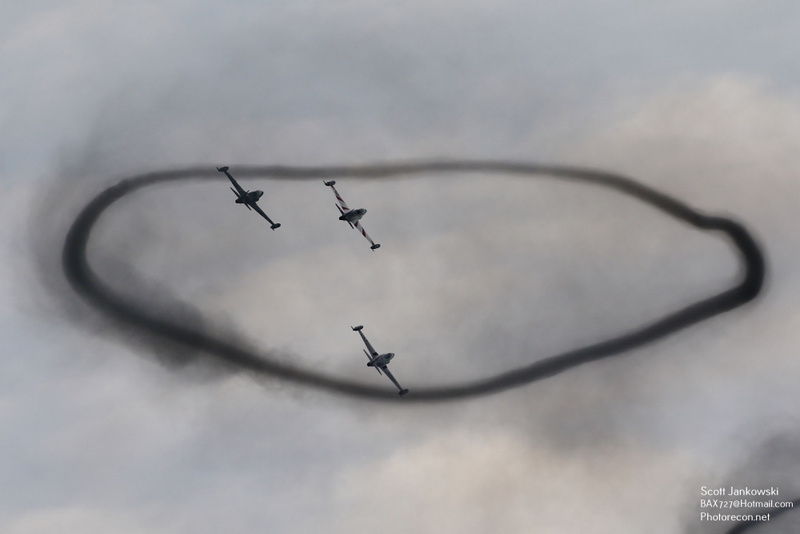 I would drop those rolls off to be developed and three days later tear into the envelopes to see the results, which to be honest were not that good but there were a few keepers every once and a while. 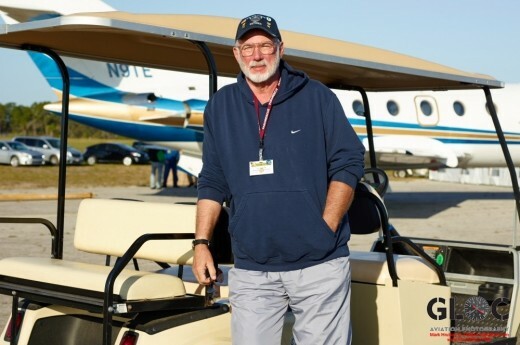 Fast forwarding to today with much better equipment and skills I spend as much time as I can at both General Mitchell International and Chicago O’Hare which are my Hometown Airports. 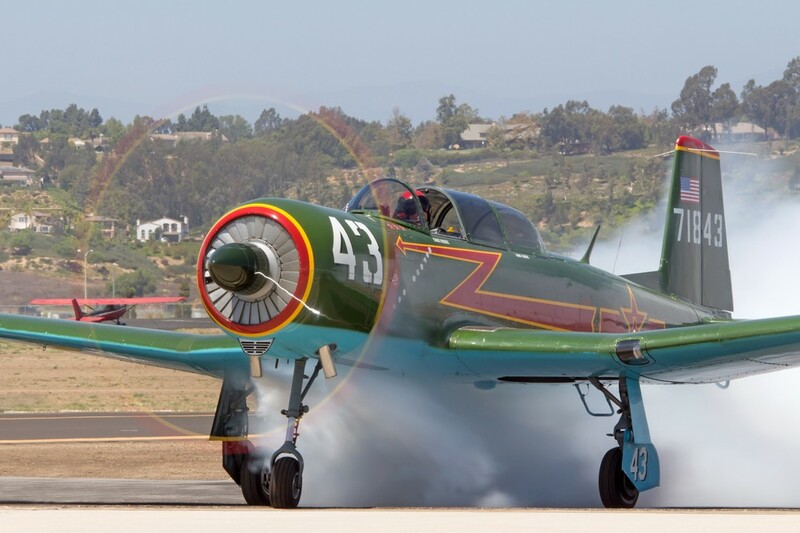 While times and aircraft have changed the excitement is still as great as it was back all of those years ago. 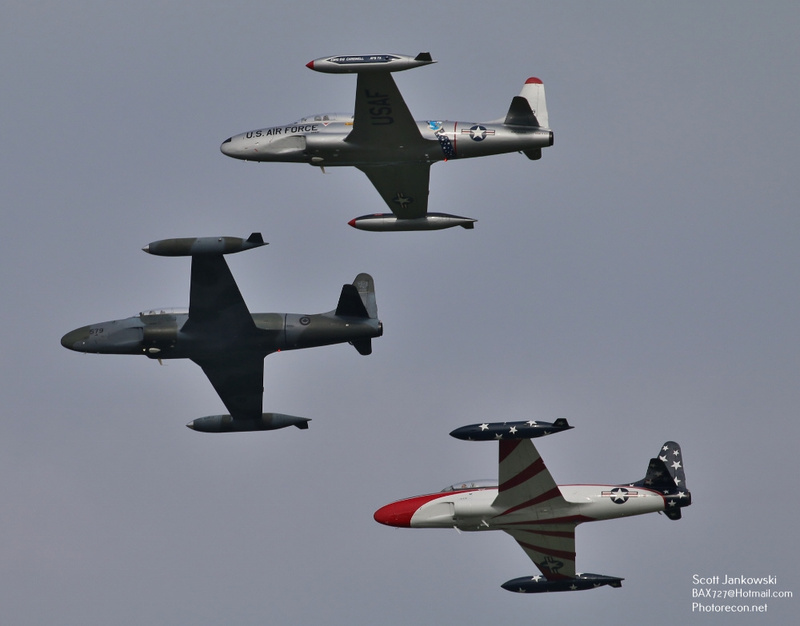 It makes no difference if it is 737, P-51, F-16, or Lear 35 I will not pass on any photo opportunity as you may not get that chance again. 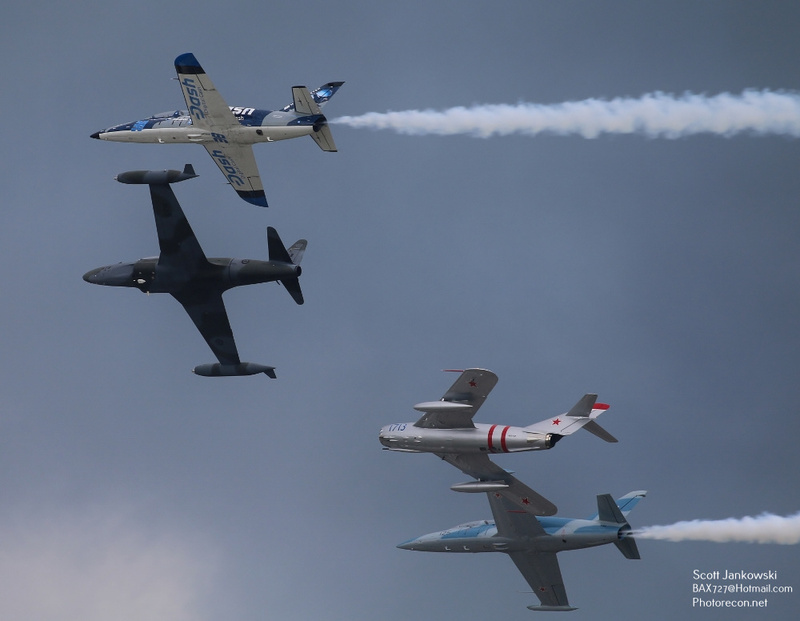 Even though my primary focus is on Commercial Aviation I still frequent as many Air shows as I can in the short Summer Season. 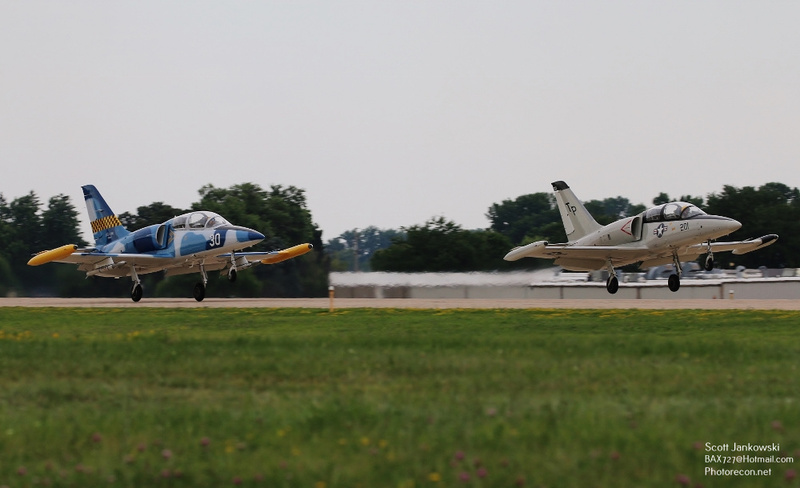 I am fortunate enough to have EAA Air Venture in my backyard only being only an Hour and Half from my home. 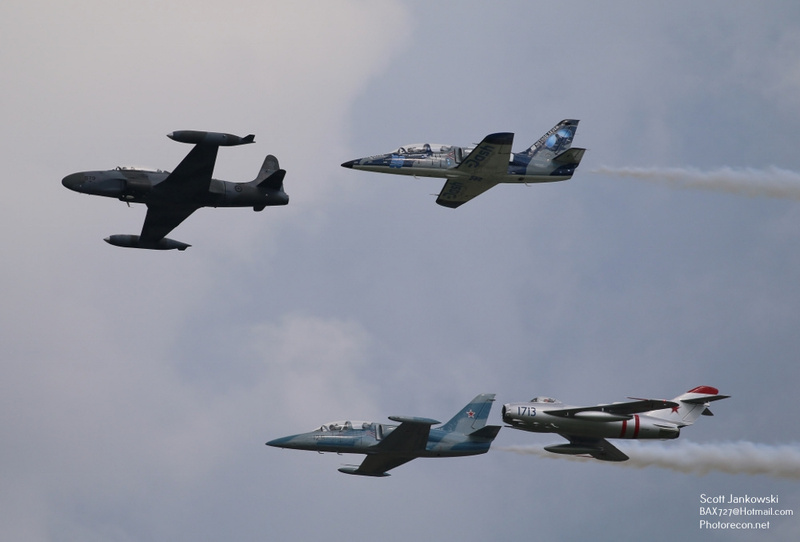 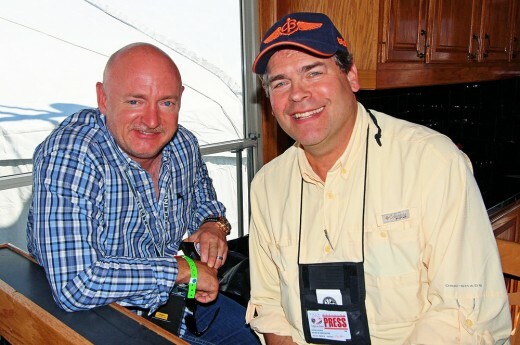 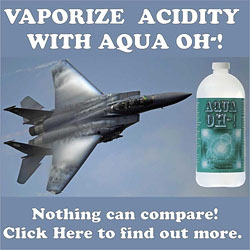 I routinely attend Air shows here in Milwaukee, Rockford, Chicago, Ypsilanti and the Quad Cities. 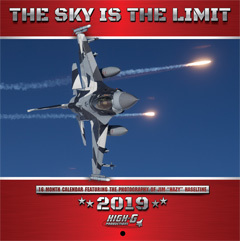 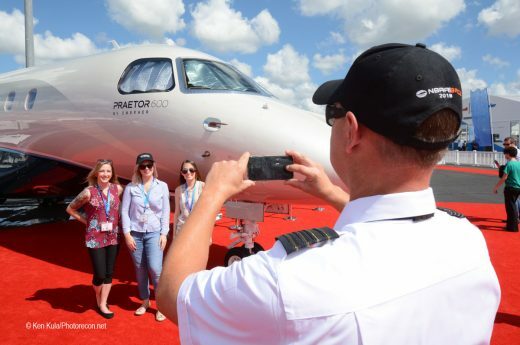 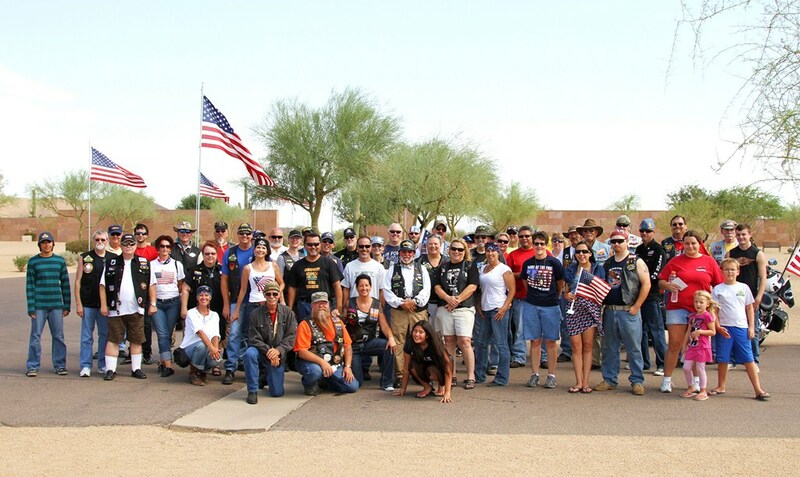 I am very fortunate to be part of the Photorecon.Net and PHX Spotters Team and am looking forward to bringing everyone some Air show and Airliner action from the Midwest Region! 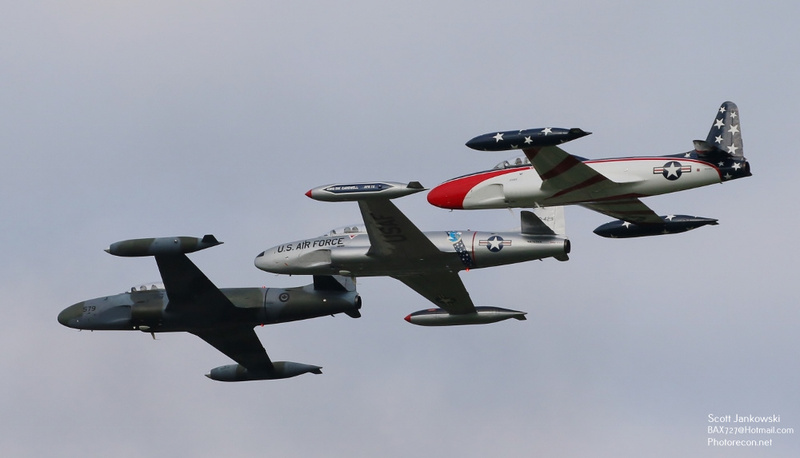 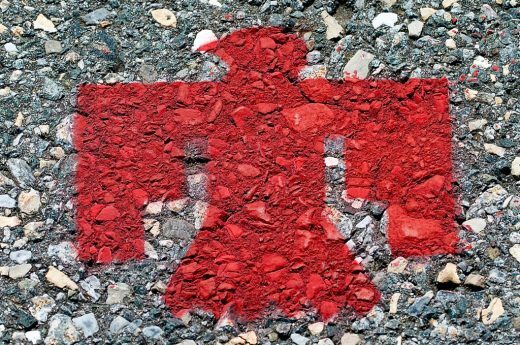 A USAF Thunderbirds Mystery Solved!